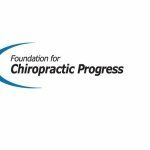 August 15, 2013 — The Foundation for Chiropractic Progress (F4CP) announced that Bruce Bond, DC, DACBN, author of the book, Practicing with Excellence and Integrity: How to Take Your Practice from Good to Great!, and Standard Process Inc, exclusive retailer and sponsor of the book, have decided to give back to the profession in a major way: For each book sold at its retail price of $20, a donation of $15 will be made to the F4CP in support of its public relations campaign. The F4CP recently received its first donation from the joint fundraiser in the amount of $10,975. All funds donated will go directly toward the production of new campaign items, including press releases, advertisements, print advertorials, and public service announcements.